Timur is Q-Grader and AST (Authorised SCA Trainer) in all modules of SCA Coffee Diploma System (Barista, Brew, Green Coffee Analisys, Sensory and Roasting) and trainer to SCA championship participants. Timur's passion is coffee, thus he traveling over the world to the producing countries, Ethiopia, Kenya, Brazil, Colombia.... with the aim of finding the best seasonal coffees. 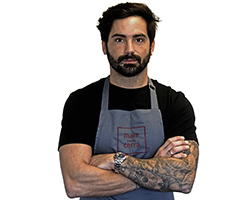 He also is sensorial and technical judge in SCA Championship and creator of alternative cup tasting championship in Spain, Ukraine and Russia. Timur is Quality control manager in Mare Terra Green Coffee importer. Carlos has been trained in origin countries, from the crop through for coffee processing and drying techniques in Nicaragua or Ethiopia. Each year Carlos travels to producing countries with the aim of continue learning from the coffee producers. He is Barista AST since 2010. 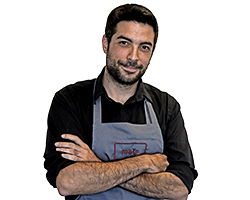 Axel was the Spanish Barista Champion SCA in 2017 and represented Spain at the World Barista Championship in Seoul in South Korea the same year. 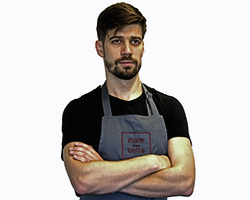 He is Q-Grader and AST in several modules of the SCA Coffee Diploma System (Barista, Brew and Green Coffee Analysis), in addition Axel is trainer to SCA championship participants (barista). Axel has been worked as barista for more than ten years. Nowadays he is working as a trainer at the Iecafé Foundation, and also is quality control coordinator in Mare Terra Green Coffee importer.